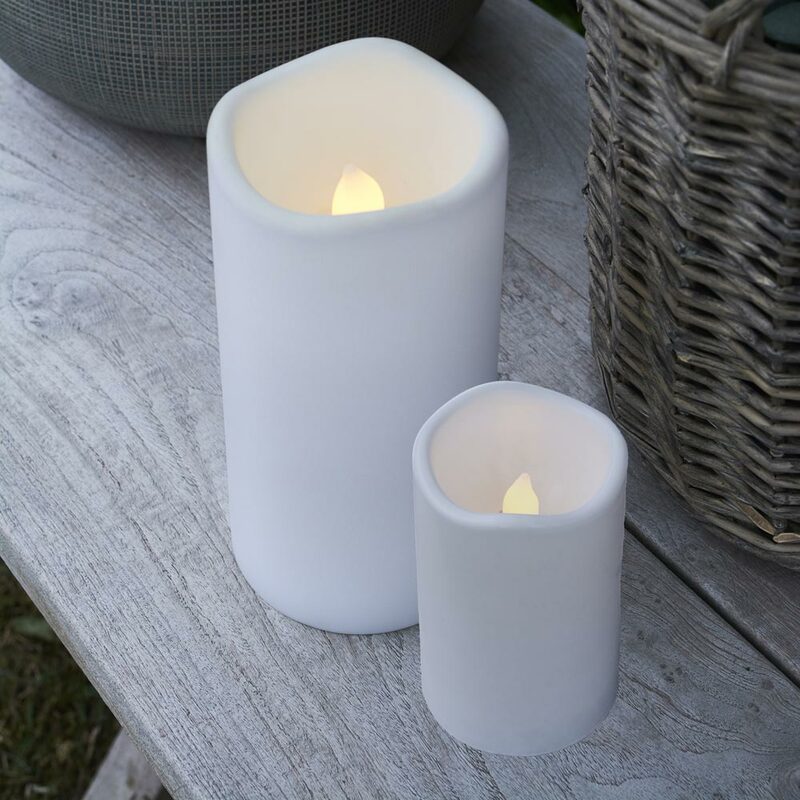 Light up the summer nights with outdoor and waterproof LED candle Storm – crafted for all weather. Perfect for lanterns and outdoor decorations. Storm has an integrated 8-hour timer function that turns on and off by itself. Medium: Ø 10 cm x H: 20 cm; uses 3 x AAA batteries. Small: Ø 7,5 cm x 12,5 cm; uses 3 x AA batteries.